The second part of Money Heist (also known as La Casa de Papel) — the Spanish Netflix series a group of thieves who rob the Spanish Royal Mint — ended with The Professor escaping with his share of the money along with police detective-turned-love interest Raquel. His students — Tokyo, Denver, Nairobi, Rio, Helsinki — also managed to get away millions of dollars richer. Now, a trailer for Part 3 of the show reveals that the gang is no longer safe. "Their vacations are over," the clip reveals before showing armed soldiers storming a beach. So, when will Money Heist Season 3 drop on Netflix? The third installment of the series will be released on July 19. 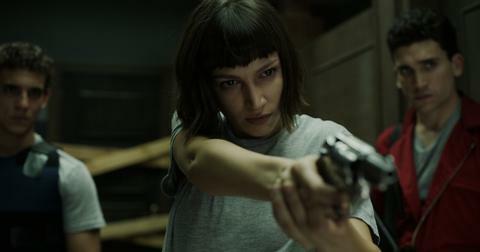 "WE ARE BACK MADAFAKAS," Ursula Corberó, who plays Tokyo, captioned the trailer. "I have shortcomings, like everyone else, but I consider myself a strong person," Ursula said of her similarities to her character. "Obviously, there are bumps, because life is not easy, but I have the soul of Tokyo." She continued, "People tell me that I look different, that I even dress different. And it is that for the first time in my life I have become the character." Esther Acebo, who played hostage Monica, also shared the exciting news, writing, "It's official." Season 3 will most likely catch up with the gang as they continue trying to evade the police. If you remember, the robbers were able to escape the mint, thanks to Berlin staying behind to distract the police, and got out through The Professor's hideout minutes before the authorities arrived. One year later, it was revealed that the gang got away with €1 billion and their whereabouts were unknown. It also ended with the Professor and Raquel, who left the force, reuniting somewhere in Palawan, an island in the Philippines. But all good things must come to an end, and it looks like the police have finally caught up with the crew. Who died in Money Heist Season 2? What started out as an eight-person crew dwindled over the course of 22 episodes. First, the gang lost Oslo when he was attacked by a group of hostages and is left brain dead. Next, Denver's father, Moscow, is shot by police after trying to help Tokyo re-enter the Mint. He eventually succumbs to his gunshot wound. 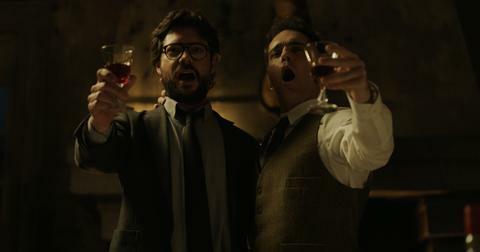 The most heartbreaking death of the series, however, involves Berlin (played by Pedro Alonso) who it turns out is actually The Professor's brother. In an unexpected plot twist, it is also revealed that Berlin has a terminal illness and only has a few months to live. Instead of escaping with the rest of his group, Berlin stayed behind to distract the police, who ultimately shoot him to death. Also not returning for Season 3 is Maria Pedraza, who portrayed Allison Parker, the daughter of the British ambassador, on the show, However, you can watch the actress on another Spanish Netflix series, Elité, along with her co-star Rio (Miguel Herrán). 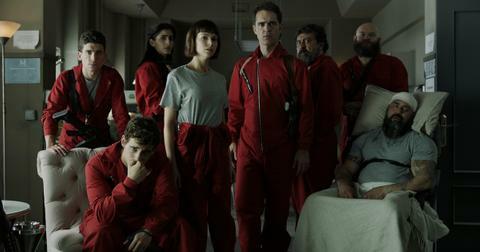 Stream Money Heist Season 3 when it premieres Friday July 19 on Netflix.